Illinois’nickname may be the Prairie State, but its landscape is considerably more diverse than that moniker indicates. 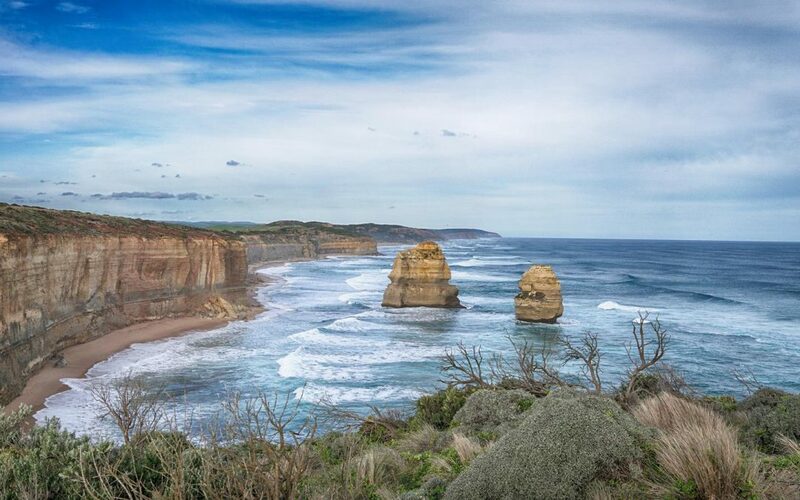 With 70 state parks, six state forests and a national forest residing within its borders, Illinois has an abundance of natural offerings that will appeal to anyone seeking an invigorating adventure. 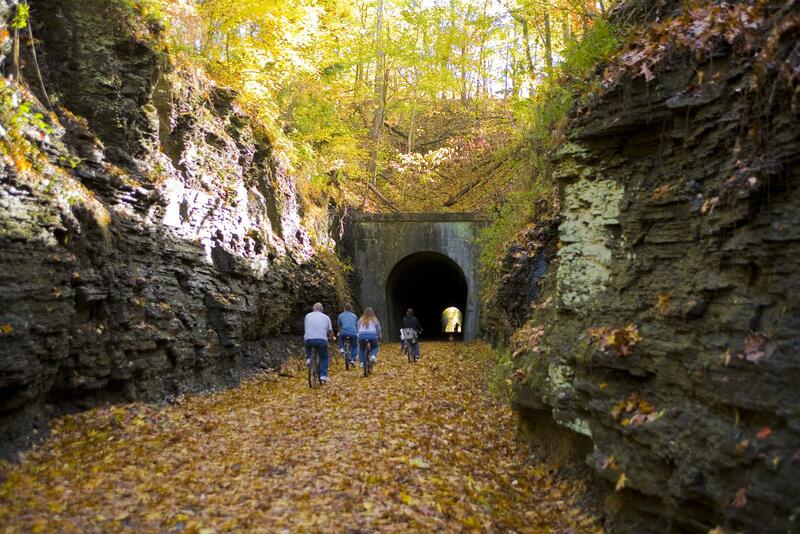 Here are a few locales outdoors-loving groups can enjoy. Inspired by the famous Portland Japanese Garden, Anderson Japanese Gardens was established in 1978 by John R. Anderson on the site of Anderson’s home in Rockford, 88 miles northwest of Chicago. This 12-acre attraction exists as a not-for-profit entity and features several waterfalls and ponds, streams, rock formations, winding paths and a tea house and guest house. 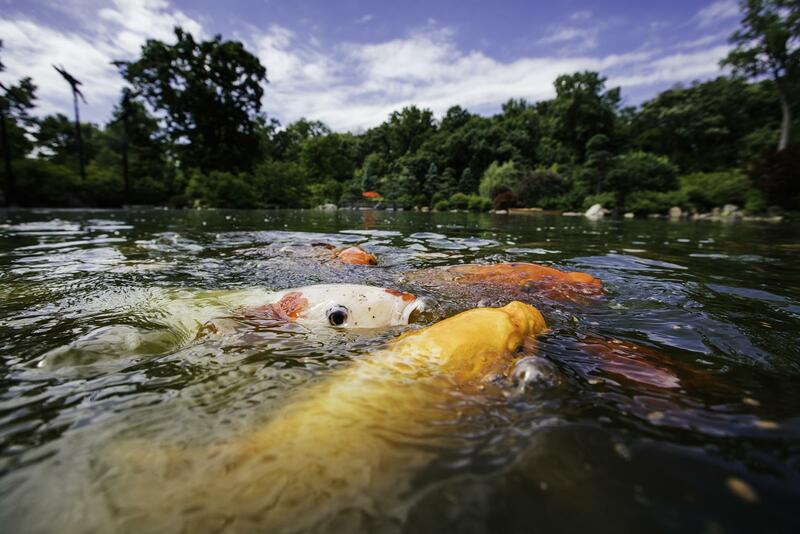 The gardens are also home to numerous species of colorful fish and ducks. 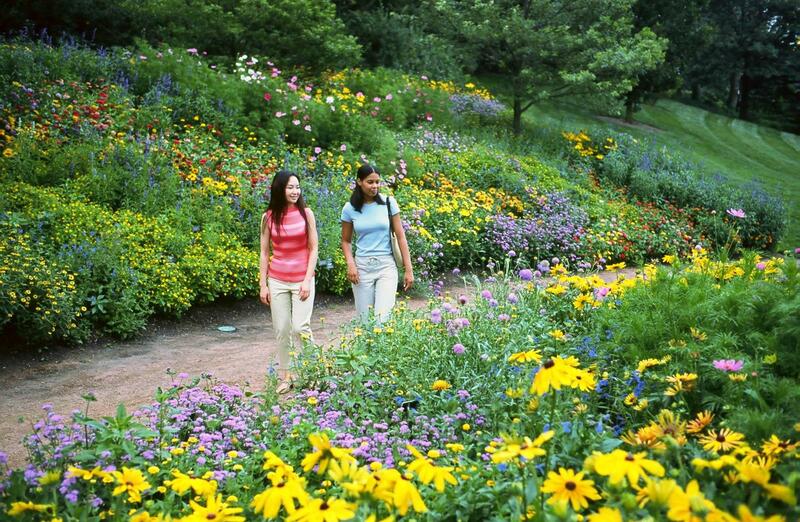 With 27 stunning gardens residing on 385 acres, this botanic garden 24 miles north of Chicago has matured into one of the world’s great living museums and conservation science centers. 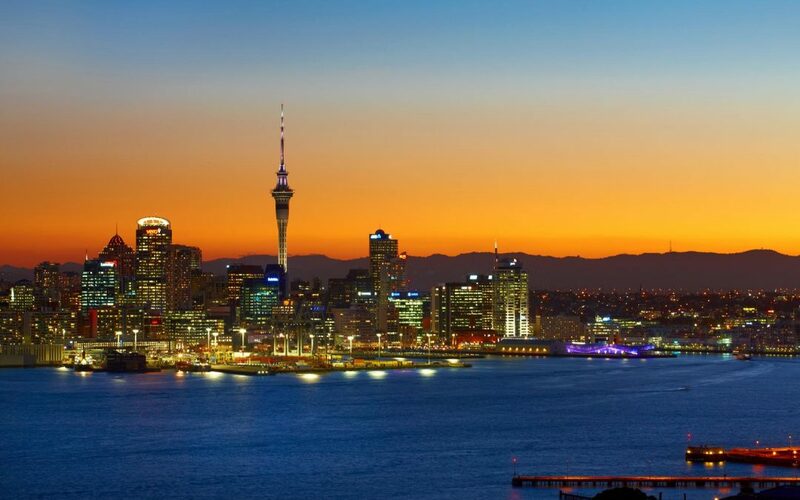 Groups can explore the wonders of the garden by walking or taking a tram and tram tours include a panoramic overview of the gardens of the main island. Among the many gardens residing in this museum include the Aquatic Garden (visitors can stroll down a winding boardwalk to view waterlilies and lotuses in various stages of bloom); the English Walled Garden (featuring six garden rooms containing elements of English garden design through the centuries) and the Waterfall Garden (displaying a 45-foot waterfall cascading down a hillside into a series of small landscaped pools). This 100-acre woodland and prairie garden in Springfield, 200 miles southwest of Chicago, features six miles of interconnected trails that wind through its restored prairies, woodlands and wetlands. Fabled architect Jens Jensen designed the garden as a living memorial to Abraham Lincoln, and it is home to 12 footbridges, a pond and eight stone council rings, most of which contain views of a lake. Plantings within the gardens include white oaks, sugar maple, dogwood and redbud trees as well as bur oak trees and big bluestem prairie grasses. A world of wildlife comes to life in the shadow of Chicago’s amazing skyscrapers. Located a few minutes north of Chicago, the 35-acre zoo has been a free oasis for generations of animal lovers. Founded in 1868, making it one of the oldest zoos in North America, Lincoln Park Zoo is home to more than 1,100 animals from some 200 species. Visitors can cast their gaze upon big cats, polar bears, gorillas, reptiles and monkeys along with a snowy owl chick, baby Diana monkey and leaf-tailed geckos. 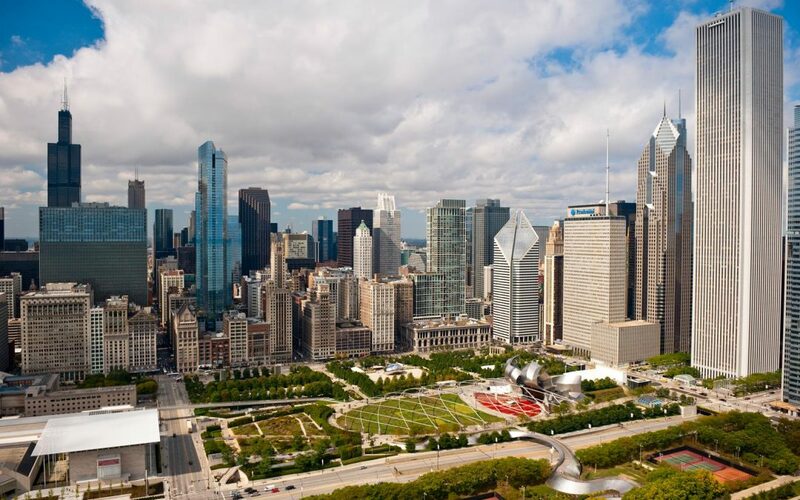 A 20-acre public park residing in downtown Chicago’s Loop, Maggie Daley Park opened in 2014 and is named for Maggie Daley, the former first lady of Chicago who died of cancer in 2011. The park contains a host of features including a new fieldhouse and a one-quarter-mile-long ice skating ribbon. The park also features three open lawn areas, a café space and picnic groves. Home to one of the most comprehensive collections of woody plants in North America, this public garden in Lisle, 25 miles west of Chicago, is an internationally recognized nonprofit organization dedicated to the planting and conservation of trees. Its 1,700 acres hold more than 222,000 live plants representing nearly 4,300 taxa from around the world. The collections are displayed in picturesque landscape settings and are designed for both enjoyment and educational purposes. Established in 1922, the arboretum’s living collections inspire visitors to learn about, plant and protect trees. Visitors can experience the venue’s beauty on a guided tram tour, a one-hour ride that winds through its woodlands, wetlands and prairie while listening to narration. The arboretum is also home to a four-acre interactive children’s garden, a natural playground for children of all ages, and a one-acre maze. The arboretum is open every day, so visitors can experiencenature’s ever-changing seasons 365 daysa year. 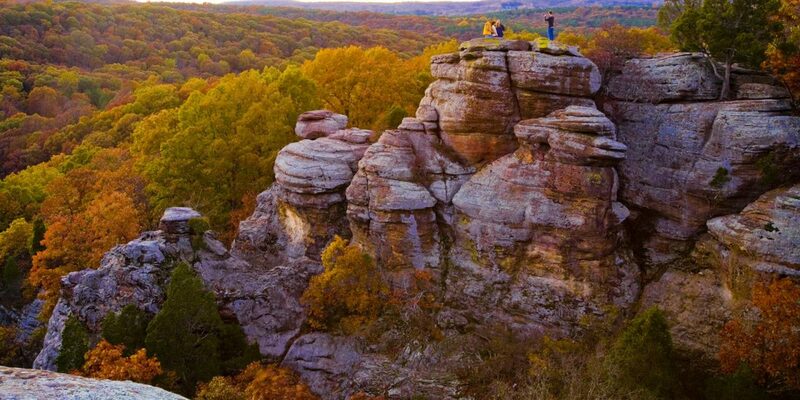 Located in the Ozark and Shawnee Hills region of Southern Illinois, Shawnee National Forest spans approximately 280,000 acres. With a diverse geography consisting of barrens, prairies, streams, lakes, ponds, waterfalls and rocky outcrops, Shawnee invites adventurers to participate in whatever outdoor activity they crave. One hidden hiking treasure residing in the forest is the Pomona Natural Bridge Trail, a 0.3-mile loop trail near Pomona that features a waterfall and is good for all ages. 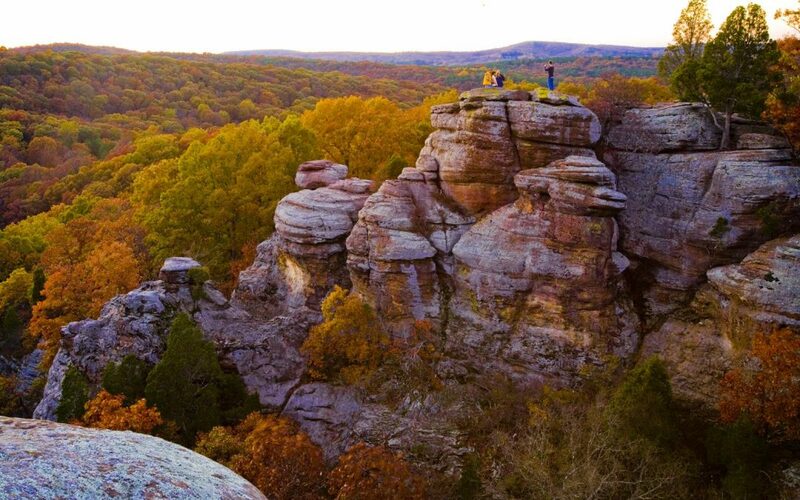 Shawnee is home to seven officially designated wilderness areas: Bald Knob, Bay Creek, Burden Falls, Clear Springs, Garden of the Gods, Lusk Creek and Panther Den. 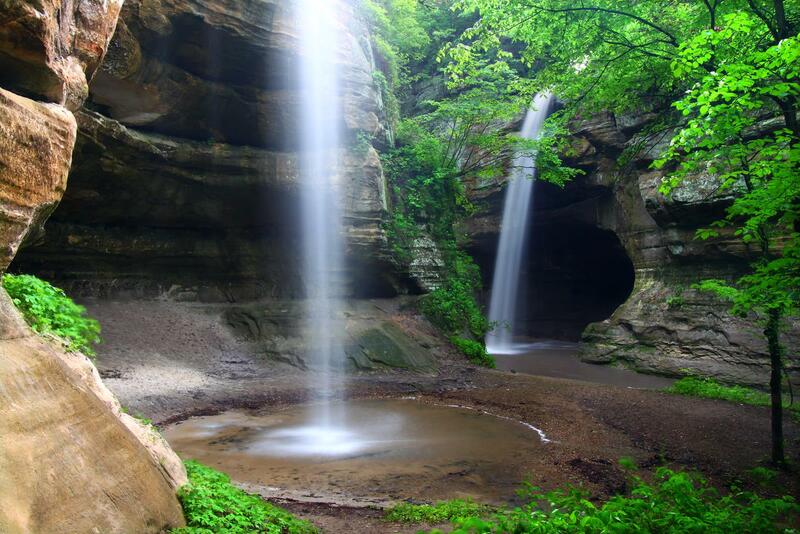 Located near Utica, 92 miles southwest of Chicago, Starved Rock hosts more than two million visitors annually, the most of any Illinois state park. Inside the park resides 18 canyons with vertical walls of moss-covered stone and more than 13 miles of trails that allow access to waterfalls, natural springs, sandstone overhangs and spectacular overlooks. One such trail is Ottawa Canyon, a 0.9-mile trail that features gorgeous wildflowers and incredible rock formations. This orchard resides close to Galena and features 5,500 dwarf apple trees in six different varieties (Zestar, Premier Honeycrisp, Gala, Honeycrisp, Fuji and Evercrisp) and four acres of strawberries in four different varieties. Terrapin’s strawberry season starts in early June and runs through the beginning of July. It offers both pick your own and pre-picked berries as well as agritourism tours. Not surprisingly, apples are king at Terrapin and are anticipated to be ready by September. Terrapin also sports a few varieties of pears and other top secret fruit crops.